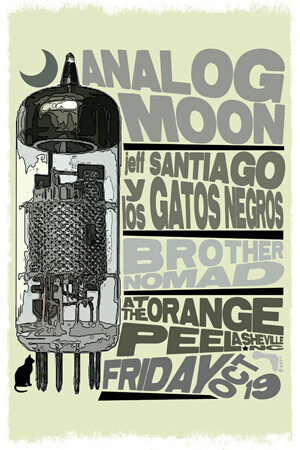 Analog Moon will be playing at Asheville’s Orange Peel Social Aid & Pleasure Club with fellow local acts, Jeff Santiago Y Los Gatos Negros and Brother Nomad on Friday, October 19. A special ticket package including one single admission ticket and one CD (buyers choice of Ascent and The Secret There Below or AM Radio) is being made available to the first 50 people to buy a ticket from Analog Moon*. *Note: The special ticket package must be bought by clicking the button below and paying with Paypal OR in person from a member of the band. Tickets bought elsewhere do not apply to the special ticket package. 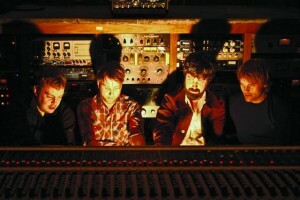 Analog Moon will be performing at the first installment of Asheville’s 2012 Downtown After 5 Concert Series on May 18. Headlining the show will be Asheville band, Velvet Truckstop. Analog Moon will start at close to 5PM, and following their set, will be traveling to Columbia, SC to play a later set at 5 Points Pub. 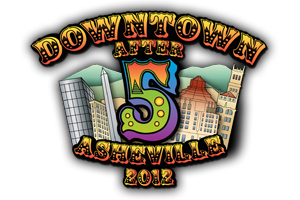 For more information on The Asheville Downtown Association and the Downtown After 5 Concert Series, visit www.ashevilledowntown.org. Analog Moon is featured on the CD Sampler of the June/July issue of Relix Magazine, as well as in its “On the Rise” section. 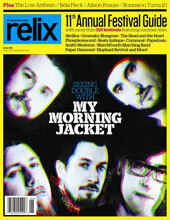 This issue contains the 11th Annual Festival Guide and features My Morning Jacket on the cover. The compilation disc leads off with the new My Morning Jacket track “Circuital” (from the album of the same name due on May 31), and also features Analog Moon’s “Soda City” and Fleet Foxes’ “Helplessness Blues”. Get it on newsstands now! You can afford the ticket: The chugging guitars and falsetto chorus of “Soda City” capture Analog Moon’s psychedelic brand of pop. So best catch them now. Because by then, Analog Moon won’t be such a secret anymore. what: CD-release party. Electric Owls and Cobra Horse open.